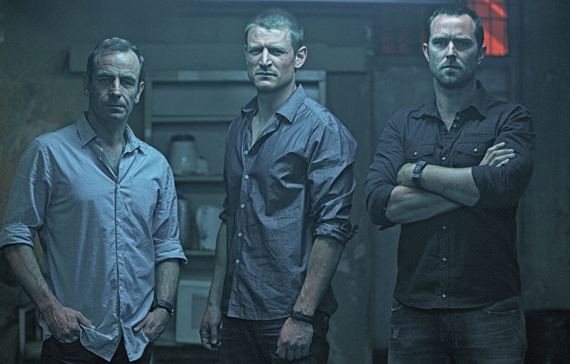 Sky 1’s military drama, Strike Back gets recommission. Sky 1 and HBO/CINEMAX have announced the commission of a fifth and final season of action-drama, Strike Back, which follows a stealth British military unit working in the field of counter terrorism. The fourth series began in the UK on Sky 1 on Monday, 28th October, and stars Philip Winchester and Sullivan Stapleton as Sgt Michael Stonebridge and Damien Scott respectively, with new cast additions; Robson Green (Mount Pleasant), Dougray Scott (Mission: Impossible II) and Martin Clunes (Doc Martin). Returning for season five will be Left Bank’s Andy Harries as executive producer, series producer Michael Casey and head of production Marigo Kehoe. Sky’s Cameron Roach will executive produce. Michael J.. Bassett will also return as co-executive producer, and lead director. James Dormer will be the lead writer and co-executive produce too. The ten-part, fifth season of Strike Back will begin shooting early next year in Asia and Europe for transmission in 2014.